After the Japanese surrender in August 1945, Admiral Harcourt of the Royal Navy set up a Military Government in Hong Kong. Mr Pennefather-Evans left for Britain citing health reasons and the British Government appointed Colonel C H Sansom as Commissioner of Police. Colonel Sansom's appointment was a transitional measure in war-ravaged Hong Kong. At the end of 1946, the British Government appointed as Commissioner of Police the former Deputy Commissioner of Police of Singapore, Duncan MacIntosh. Mr MacIntosh was a man of foresight and progressive instincts. He improved the image and efficiency of the Police Force, whipping the post-war Hong Kong Police Force back into shape. The Commissioners who came after him - Heath, Tyrer and Slevin - had worked their way up the ranks of the Police Force over many years before their promotion to the post of Commissioner of Police. Arthur Maxwell, Edward Eates, Charles Sutcliffe, Roy Henry and his successor Ray Anning had gained their experience in police work outside Hong Kong and were brought into the Hong Kong Police Force as high-ranking officers before their eventual promotion to the post of Commissioner of Police. 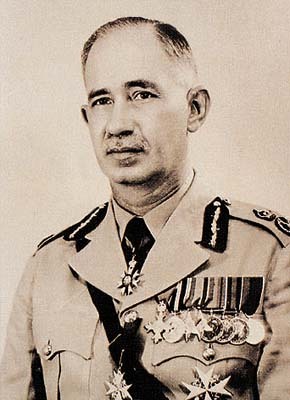 Mr Maxwell first developed his career in Malaya before the Second World War and became the Commissioner of Police of Sarawak in 1947; he was subsequently posted to Hong Kong in 1949 and was appointed Deputy Commissioner. Mr Eates was posted from Gambia to Hong Kong as Assistant Commissioner in 1963, and Mr Sutcliffe first arrived in Hong Kong in 1960 from Tanganyika as Senior Superintendent. 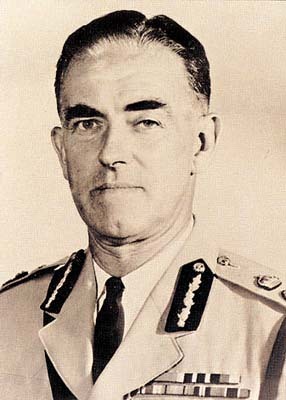 In 1973, the British Government transferred Mr Henry, Commissioner of Police of Fiji, to Hong Kong to take up the post of Senior Assistant Commissioner of Police. 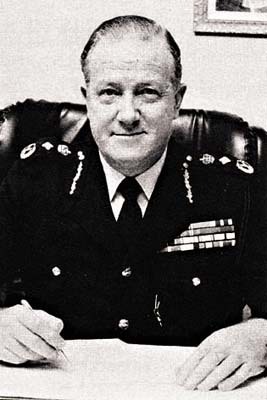 Mr Anning, who was experienced in police work in the UK, was the Inspector of Constabulary for West and South-West England, the British Midlands and Wales before coming to Hong Kong to take up the post of Deputy Commissioner of Police. All of them were eventually promoted to the rank of Commissioner. After the signing of the Sino-British Joint Declaration, Hong Kong entered another transitional period. During this period, the Government appointed Mr Li Kwan-ha as Commissioner of Police after Mr Anning's retirement, making him the first Chinese Commissioner. Both Mr Li and his successor Mr Hui Ki-on had served for more than 30 years in the Hong Kong Police Force before their appointments as Commissioner of Police. Mr Hui led the Hong Kong Police Force through the transitional period to become the first Commissioner of Police of the Hong Kong Special Administrative Region. Mr Tsang Yam-pui was the second Commissioner of Police to serve after the Handover. He took over the post on January 2, 2001, and retired at the end of 2003, after having served the Force for over 37 years since 1966. The present Commissioner Lee Ming-kwai took up his post in December 2003.